Ships today if you order in the next 9 hours 39 minutes. 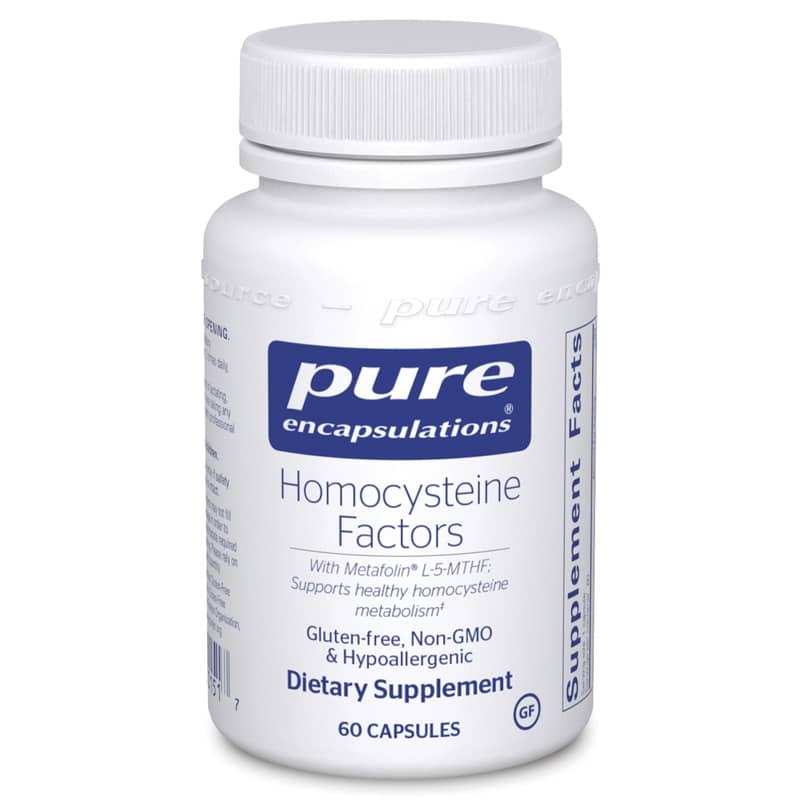 Helps maintain normal homocysteine levels and cardiovascular health *Clinical studies show that folate, vitamin B12, and vitamin B6 are vital in the metabolism of homocysteine. Vitamin B12 and folate are required by the enzyme that converts homocysteine back to methionine. Vitamin B6 is required in each of the two enzymatic reactions that convert homocysteine to cysteine. Betaine, in the form of trimethylglycine, is included in this supplement to promote the absorption of these important nutrients. Homocysteine Factors provides vitamin B6, vitamin B12, folate and betaine, a highly bioavailable combination of nutrients integral to supporting healthy homocysteine levels and cardiovascular health. Adults: As a dietary supplement, take 2 capsules per day, in divided doses, with meals.